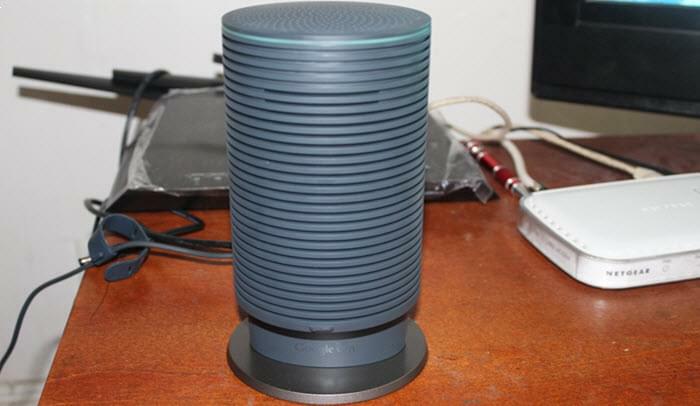 Let’s Clarify: Can Google’s OnHub Router Handle VoIP? Let’s make something clear right out of the gate: In no way, has Google nor its partner in developing the new OnHub router, TP-Link, have claimed that the OnHub is anything more than a wireless router for home use. Yet, the reality is some small (and some not-so-small) businesses do use consumer routers for business purposes. These may be startups operating in small quarters, or a home office. No matter the size of a business, it needs a reliable router. Routers not only provide wireless access but they can help optimize other technology a business may use such as VoIP. Many consumer routers surprisingly, do have configuration options to optimize them to efficiently pass VoIP data traffic to and from the network. These options are generally QoS (Quality of Service) and when enabled, will prioritize VoIP traffic with the highest amount of bandwidth over other types of data traffic on the network. This helps to improve VoIP performance. There’s been so much hype surrounding the OnHub router since Google announced it. 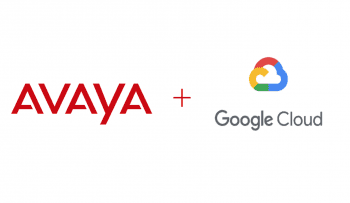 It’s conceivable that some may consider not only purchasing Google’s device for home use, but also for business use and perhaps for using with VoIP services such as Ooma, RingCentral, Jive ShoreTel and others. We took a hands-on look at the OnHub to see if a small/SOHO business could use the router for business purposes. The OnHub is an 802.11ac router, supporting the latest wireless networking standard. It’s dual-band, with both 2.4 and 5GHz radios. It has 13, internal high-performance antennas and supports Bluetooth as well as some smart home connection protocols including Weave and 802.15.4. It’s easy to set up, customers only have to plug in the device and connect it a broadband modem via an Ethernet cable (two cables ship with the router). 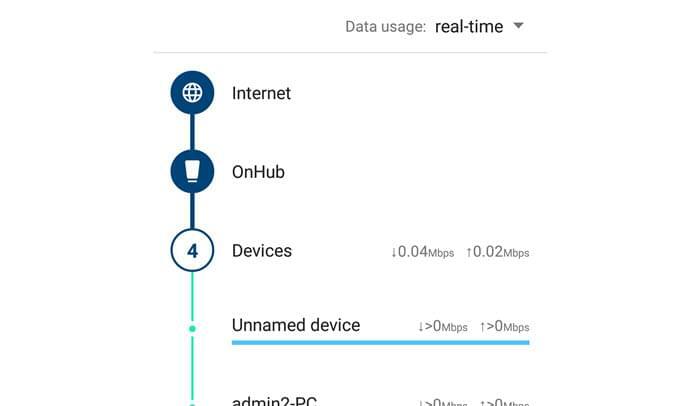 After connecting, the OnHub app has to be downloaded for iOS or Android. The app walks users through a series of simple steps to configure the router. This may be the biggest deal breaker for the OnHub’s use as a business router even for a small business. You can only connect one device to it via Ethernet. That means if you have an Ooma VoIP system, for instance, you can only connect the Ooma to the router and nothing else (although another option would be to connect the Ooma to your broadband modem, but we explain why that may be messy in our Ooma Office review). Devices are increasingly connecting to home and small business networks via Wi-Fi, so the lack of more than one LAN port may not be an issue for some. 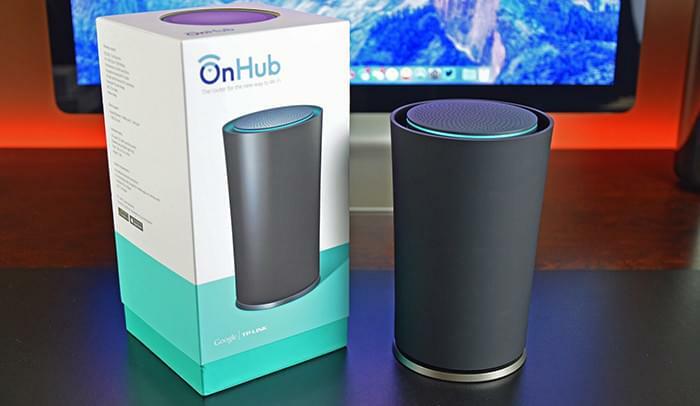 But if you are also using the OnHub for a home router and you have devices such as a Roku box, a gaming console or a Network Attached Storage device, these are all devices that you typically want to connect via Ethernet to a router. 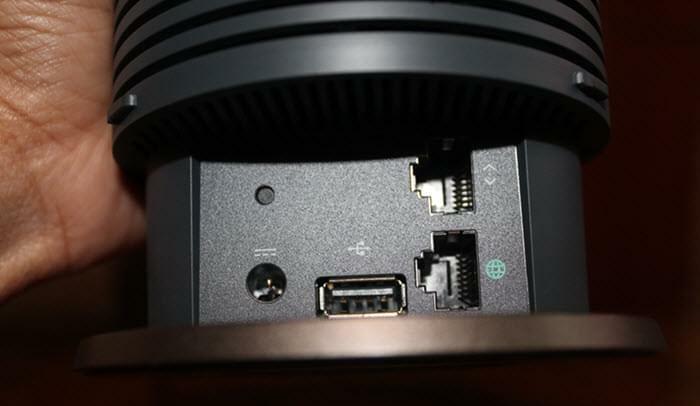 Of course, you can also connect a switch to the OnHub’s single port and then connect multiple devices to the switch. Switches can have anywhere from 4 to 24 LAN ports. The downside of that is that if you don’t have a switch, you have to buy one in addition to the OnHub. The OnHub’s price is $200 which makes it a little more expensive than other routers on the market that have very similar specs to the OnHub and most of which already have built-in four port switches. Routers that handle VoIP traffic the best, usually have some type of QoS (Quality-of-Service) features. 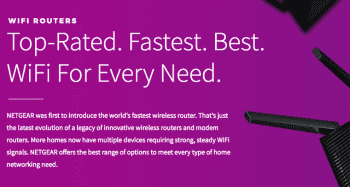 In a lot of routers, even ones for home, you can set maximum and minimum bandwidth threshold levels based on the speed of your Internet connection. This helps tailor, or “shape” bandwidth in a way that can improve VoIP performance. The OnHub does not have this capability. VoIP-capable routers often have a traffic prioritization feature. You can tell the router which type of data traffic gets the highest level of bandwidth as that traffic passes through the network, such as VoIP, video or gaming traffic. The OnHub does not allow this. 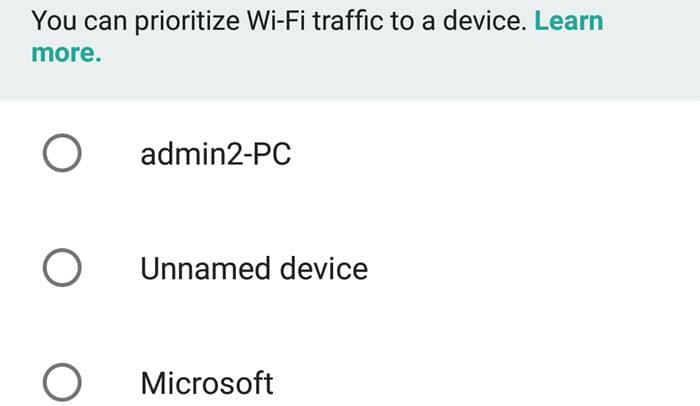 What Google’s router does instead, is let you tell it which device that are connected to the router should receive the highest priority bandwidth thus, receiving the faster connection. Prioritizing data traffic by device is a lot more limiting for optimizing VoIP than by data type. Google’s OnHub may be the most un-customizable router we’ve ever seen. You can do very basic management through the Android or iOS app such as change the network name and password, create some port forwarding rules, enable UPnP—but not much more than that. For business use, you really want a router with a meaty management interface with advanced settings that will allow for changing the wireless channel if needed, control the wireless transmit level, set up firewall rules and more. To reiterate, neither Google nor TP-Link have stated this is an ideal device for business VoIP. But if you were pondering whether this router, which has generated a lot of excitement in the industry, is a good networking device for your VoIP or business purposes, you may want to think again. For a list of routers that are optimized for VoIP, check out, 7 Best Routers for VoIP Systems.